*** MORE VEHICLES WITH THE TAKATA AIRBAG FITTED HAVE NOW BEEN RECALLED. PLEASE CHECK IF YOUR VEHICLE IS ON THE LIST. You know how it is – you are on a long road trip. You’ve been travelling for what seems like hours. You shift uncomfortably in your seat. If you could just stretch your legs out you would feel so much better. So you decide to try sitting with your feet up on the front dash……on top of the in dash air bag . Ahhh, that feels better already. But is it safe to sit like this? What happens if you are in an accident and the air bag deploys? 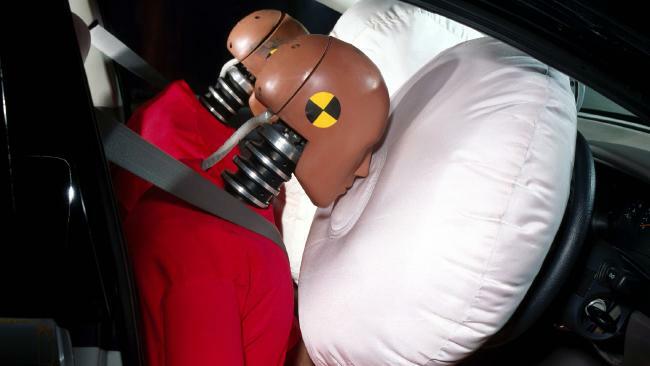 Here are a few things to think about when it comes to Car Airbag Safety. An SRS (Supplementary Restraint System) Airbag is a safety device that is installed into almost all modern motor vehicles. It is designed to inflate instantly, upon impact with a solid object. It is shaped to suit the space between the passenger and the solid surface of the interior of the vehicle. The speed at which an airbag deploys will vary, depending on the vehicle and the seriousness of the accident. But in most cases they will deploy in about 55 milliseconds at a speed of up to 300 kilometres per hour. If you are unfortunate enough to be involved in a crash and your air bag deploys, the air bag will envelop your head and upper body. As the momentum of the crash carries you forward the airbag cushions your upper body. It should also stop your body contacting with any hard surfaces such as the dash board or steering wheel. If you are not correctly seated when an air bag deploys it can cause serious injuries. 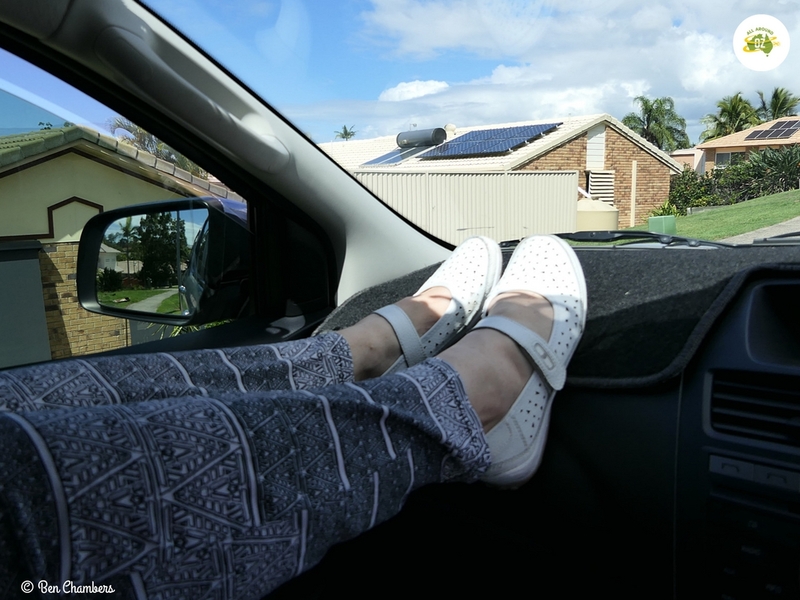 If you have your feet resting on the dashboard it is extremely unlikely that you will have time to put them down in the event of an accident. As we all know an accident can occur in the blink of an eye. If your feet are up on the dash, this will likely mean that your knees are bent. The force of the deploying air bag will force your legs up towards your chest and face, as your head is travelling forward with the momentum of the vehicle. This could result in major facial injuries occurring. It could also result in injury to your hips, pelvis, knees and legs. Make sure that you not have your seat pulled to close to the dash. From a safety point of view, never travel with your feet on the dash, especially if an air bag is fitted. The risk of serious injury from deploying airbags is also why manufacturers do not recommend child seats or children under the age of 7 be allowed to be seated in the front seat of the car. Air bags are designed to work with adult body mass. Whilst it is not illegal in Australia to have a child over the age of seven seated in the front seat of a car, child safety experts recommend that, where possible they sit in the back seat until they reach the age of 12. This excellent video from NSW Road Safety shows exactly what occurs in a crash when an Air-bag deploys. In order for your car airbag to deploy properly in the event of an accident you should never cover them with anything. Keep your car free of rubbish, that could become a projectile should your airbag deploy. If you have a carpet dash mat make sure that it is the correct design for your vehicle. Ours only has a flap that covers the airbag on the passenger side so the airbag can still deploy properly. In the last couple of years there have been a number of safety recalls because of faults in a particular brand of car airbag. About six deaths have occurred overseas because of these faults. You can check if your vehicle was involved in the recalls HERE. Thanks for this info Mel. I always thought it would be dangerous to put my feet up on the dash, but you have now convinced me to never to this again! It’s something that Brenden sees a lot in his travels and it is very concerning!